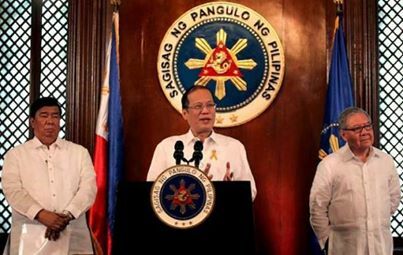 Manila, Philippines - President Benigno "Pnoy" Aquino III on Friday noon at the press briefing at Malacañang said that it's about time to abolish PDAF popularly known as 'pork barrel'. Pnoy's announcement was aired live on national television to inform Filipinos of his point of view of the anomalies happening on the public funds known as Priority Development Assistance Fund (PDAF). In a statement, Aquino said: "Bakit tayo kakabahan? Maraming salamat sa kanila, dumami ang ating kakampi laban sa katiwalian." However, once PDAF has been abolished, a new and transparent system will replace but basically it's still a 'pork barrel' in new form. Congressmen and senators can still propose projects but subject for strict review if it will pass on the new criteria.